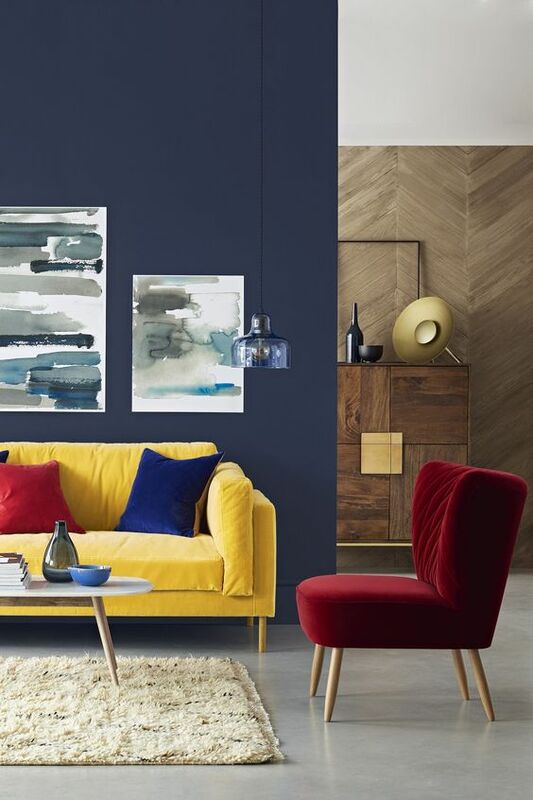 Many have said that yellow and red color will be the trending colors for 2019. The news that this bold color will be a trend can’t get more exciting. However, let’s get acquainted with yellow color this time. Let’s see how this cheerful bubbly color will look in several rooms. 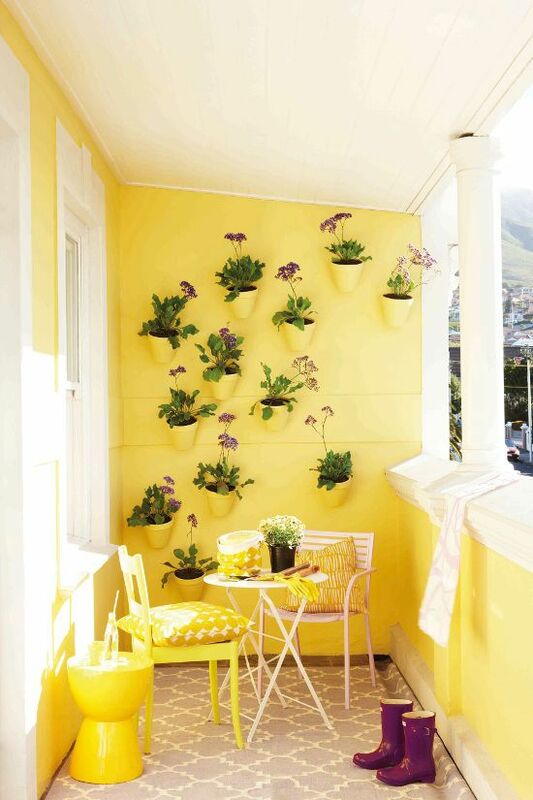 Having yellow on your exterior is only for those who can own to it. It’s only for those who have the gut to welcome people in more cheerful and warm, just like this one here. With the wall painted in yellow with some white lines, it gives the strongest look on looking bubbly. 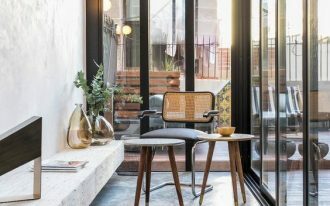 Not to mention the stool, chairs, and the plant pots on the wall. 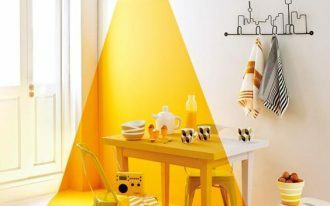 Yellow has been claimed to give optimist and energizing feeling. Like this one here, upon the grey wall, the yellow velvet sofa leaves strong energy, along with the combination of some textures. 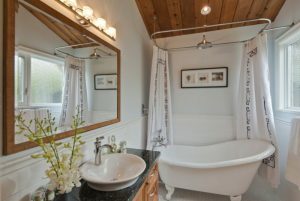 Many people say yellow is a bold color and that’s not what you should do in bedroom because it will make you restless. However, with the softest yellow, you will not get restless, like this one here. 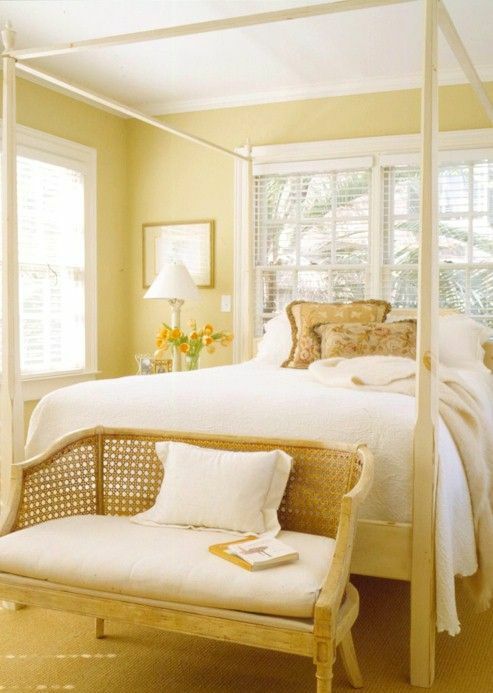 Successfully using soft yellow in the wall, bench, and bed platform, this one here radiates an old and traditional look from the choice of wooden furniture. 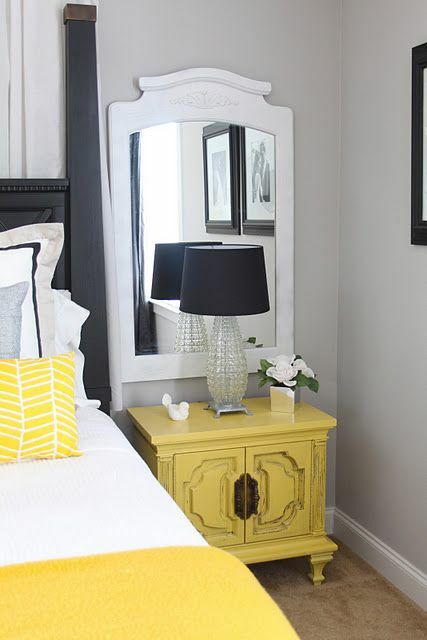 Still in the bedroom category, unlike the previous one, this one here does not use yellow in every surface. 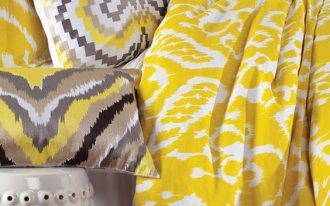 With neutral room color, yellow is used in the bedding and bedside cabinet. However, although it is just accents, the bold in it and the neutral background has made it pops out. A creative look is depicted in this picture. A study table with simple floating table and black chair looks really simple and neutral. However, added with yellow boards on the floating shelves has made it looks so strong. And it is not even the shelves itself. It is the shelves divider. It’s simple addition yet the strongest. This one is an interesting sight of makeup station. 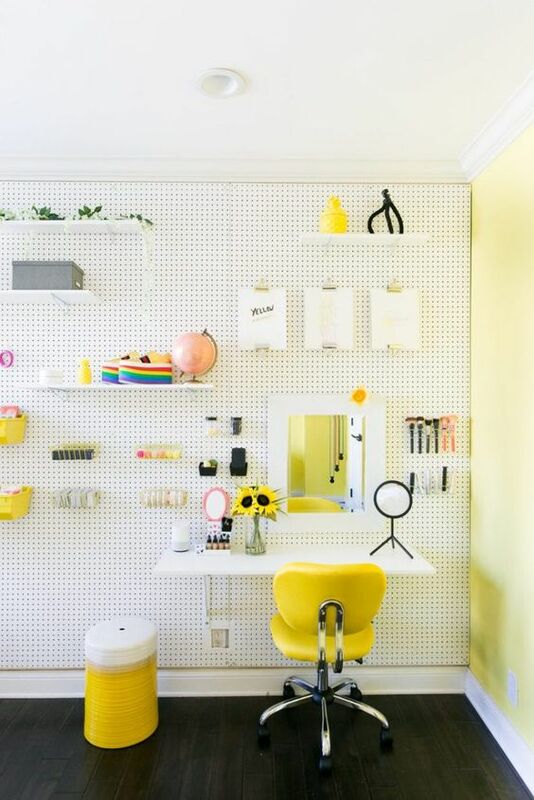 With white pegboard on one side of the wall, it puts everything on the wall, including the floating table. To give it cheerful note, a yellow office chair and trash bin are added. 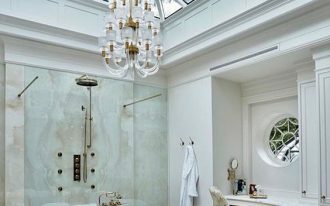 Adding yellow in a bathroom can be done is so many ways as bathroom has so many necessities. Seen in this one, though, yellow color only seen on the wall while the other furniture stays in white. And these two colors combined really well. 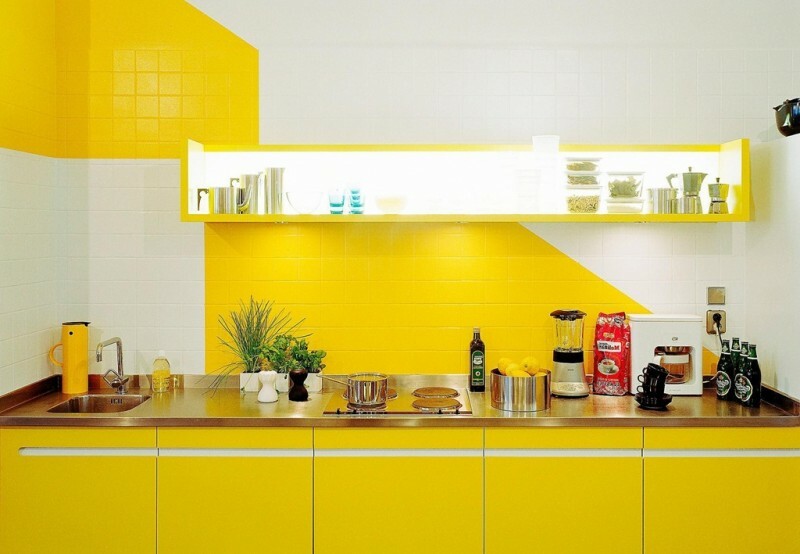 Just like bathroom, kitchen also as so many things that you can put in yellow as you don’t have to turn the entire thing in yellow, just like this one here that has yellow in the cabinet, shelves, and some part of the backsplash wall. 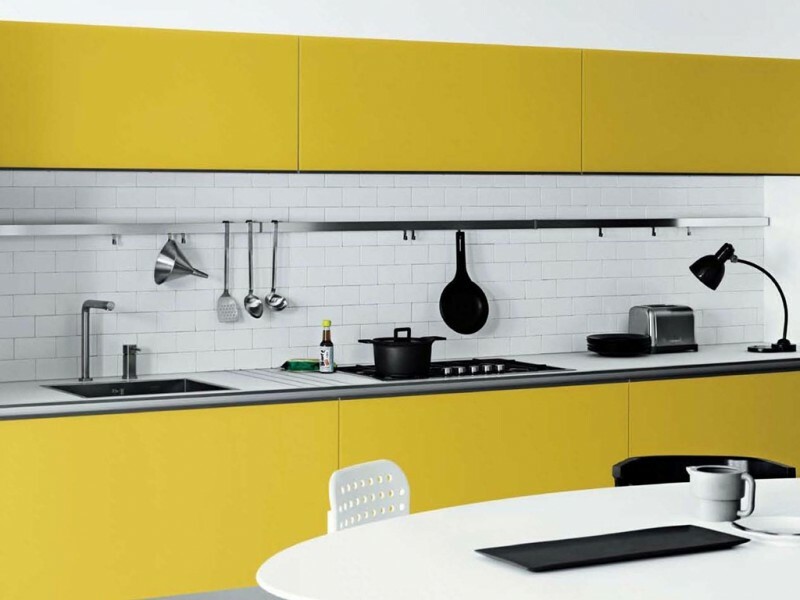 Similar to the previous one, this one also combines white and yellow in the kitchen. 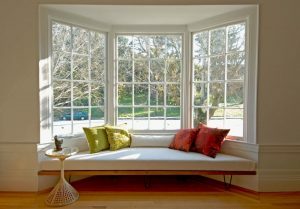 Showing on more modern look, this one here has sleek and smooth lines on the furniture and neutral color besides yellow. 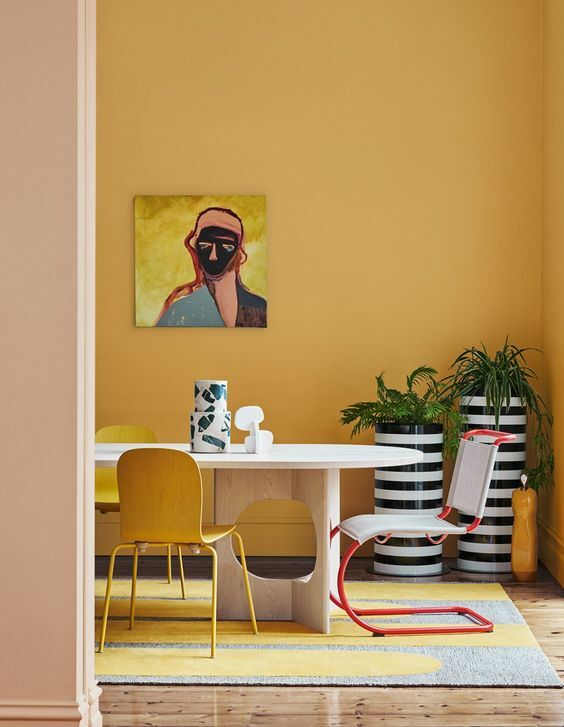 In the dining room, yellow can come in many furniture. 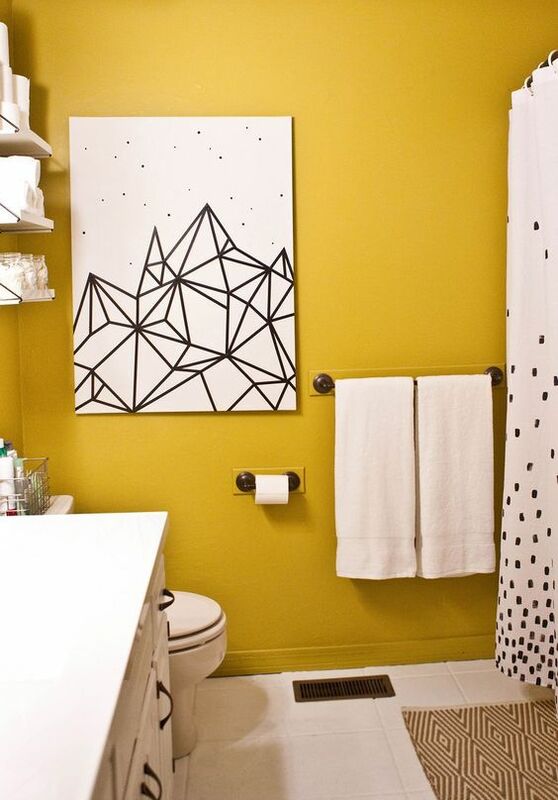 However, this one here makes sure yellow come in with another elements and color that makes the room quite eclectic.